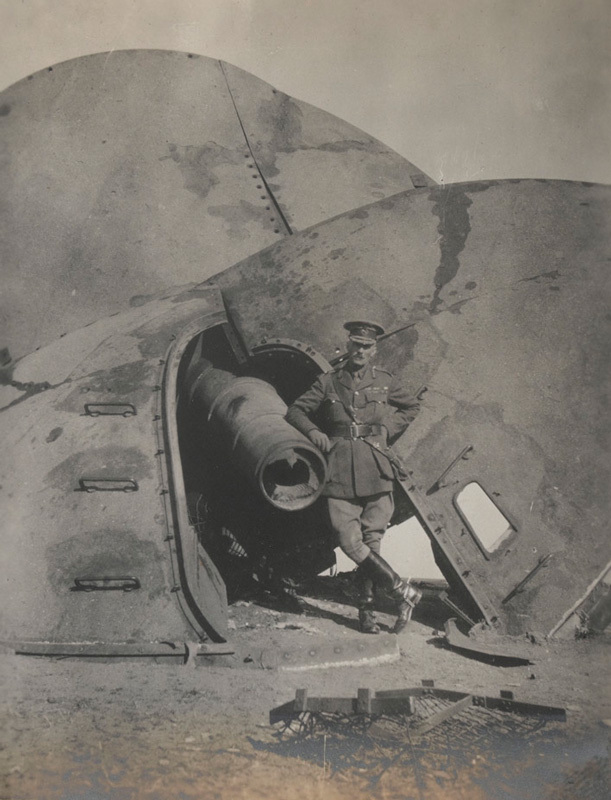 The First World War photographs of Major-General Nathaniel Barnardiston shed light on an important but largely forgotten campaign in the Far East. As fighting raged on the Western and Eastern Fronts in Europe, a number of smaller, and largely unknown, engagements between the Allies and German forces took place around the world. 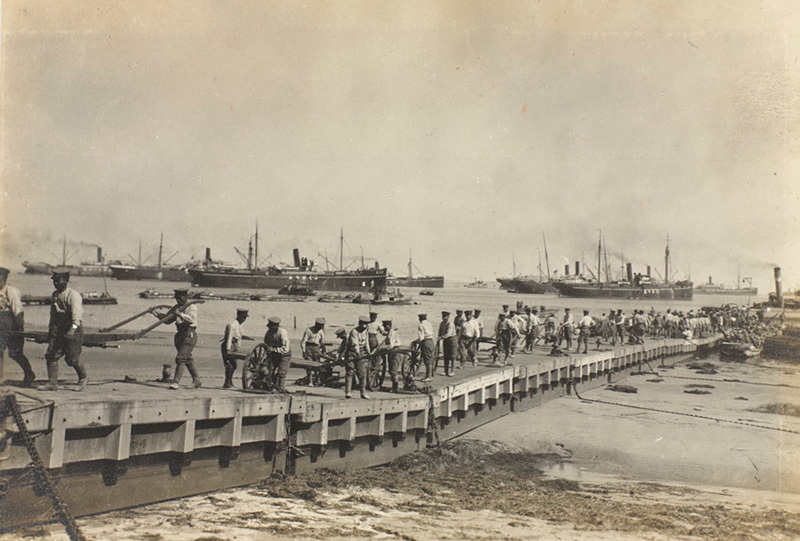 Only three days after Britain’s declaration of war, her forces began invading the German colony of Togoland (Togo) from the British Gold Coast (Ghana). In the Far East, the Allies quickly turned their attention to Germany’s naval base at Tsingtao (Qingdao) in China, which was garrisoned by around 4,000 troops. Britain had long seen the German presence in China as a threat to her interests and since 1902 had been in alliance with Japan. The latter had its own territorial ambitions on the Asian mainland. 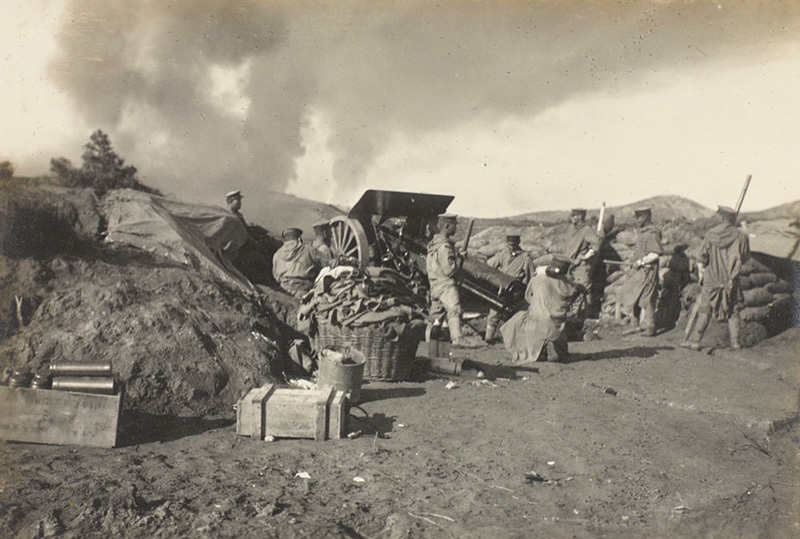 Even before the commencement of hostilities the Japanese had made preparations for the siege of the port. On 15 August they issued an ultimatum to Germany, demanding it withdraw its warships from Chinese and Japanese waters and hand over Tsingtao. This was refused and on 23 August 1914 Japan declared war on Germany. Eight days later 20,000 Japanese troops, armed with over 140 artillery pieces, were landed and, in tandem with their supporting warships, began a bombardment of the port. Britain, suspicious of its ally’s intentions in the region, decided to send a naval force and 1,500 soldiers under the command of Major-General Nathaniel Barnardiston to support the operation and keep an eye on proceedings. 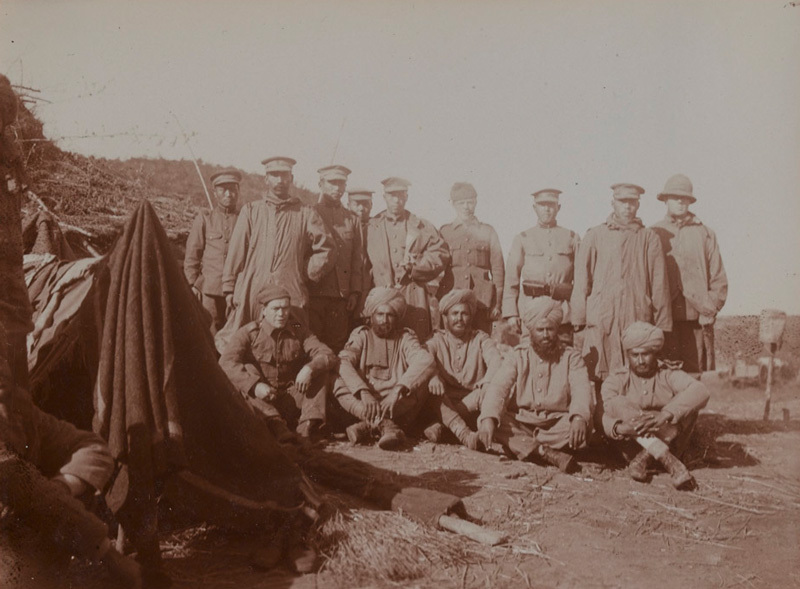 The bulk of the troops consisted of 2nd Battalion The South Wales Borderers and a detachment of the 36th Sikhs. Both units were then garrisoning Tientsin (Tianjin) in northern China and on arrival joined the Japanese in the siege lines around the port. 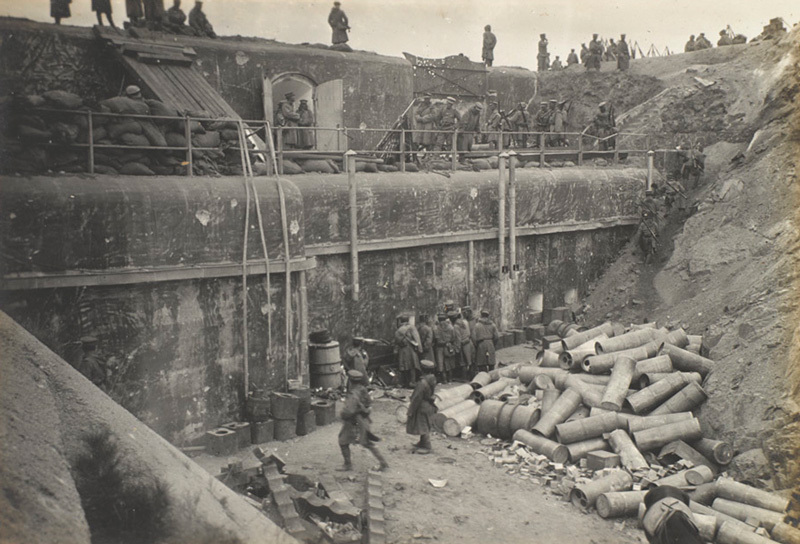 The latter was well defended by a network of trenches, batteries and fortifications. 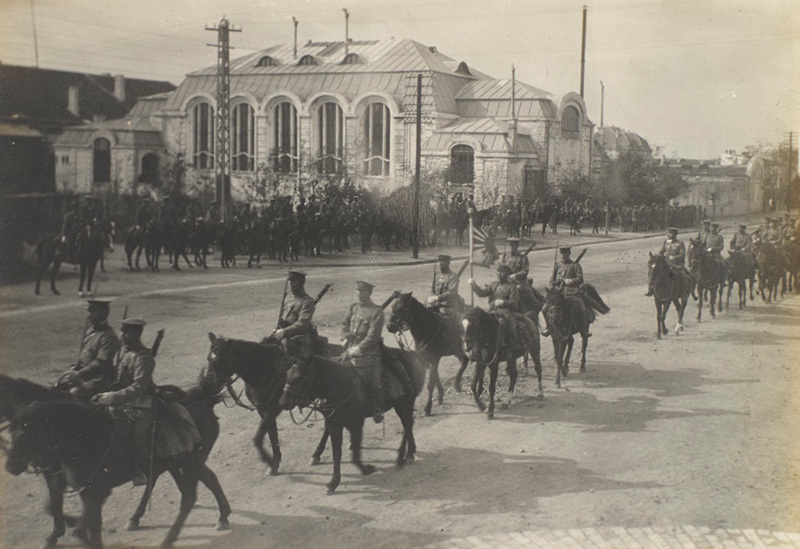 The German garrison, despite being heavily outnumbered, held out for over two months before finally surrendering on 7 November and handing over the port three days later. 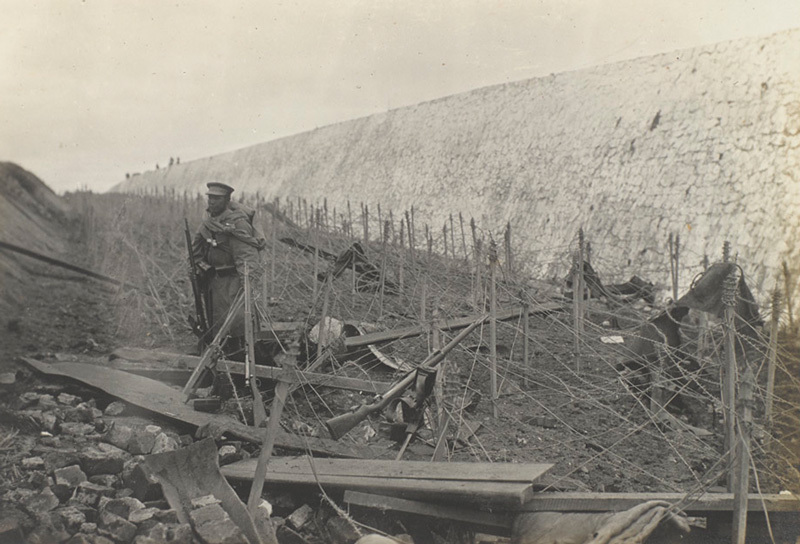 With the port’s capture British forces were withdrawn, having sustained 12 killed and 53 wounded. 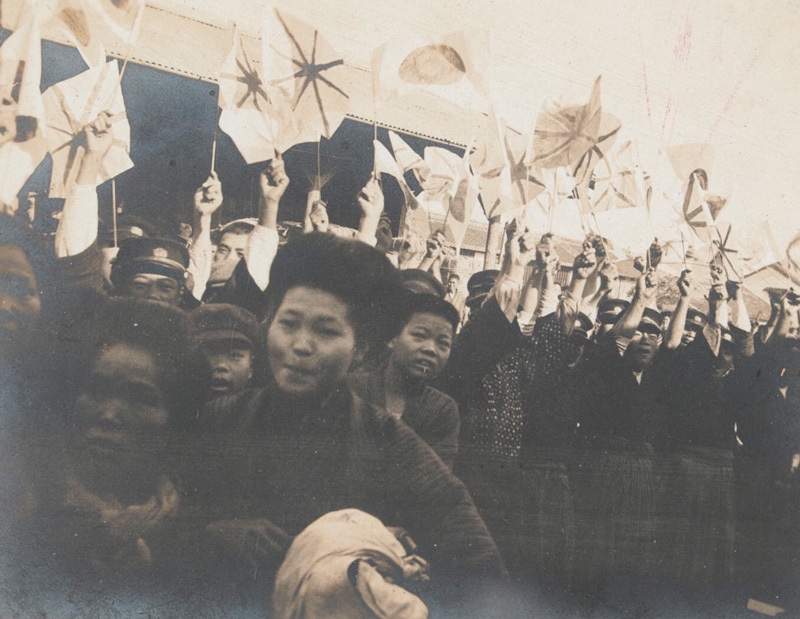 Occupied by the Japanese, Tsingtao eventually reverted to Chinese control in 1922. 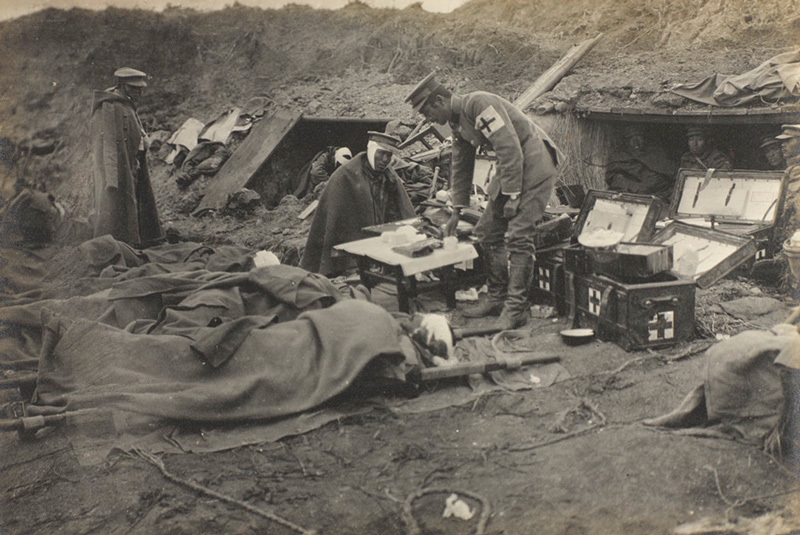 The National Army Museum possesses two remarkable photograph albums belonging to Barnardiston which shed light on this brief campaign – one of the forgotten ‘sideshows’ of the War. One of them was presented to Barnardiston by the Osaka Daily News when he visited Japan in December 1914. The other contains photographs collected by Barnardiston from a variety of sources. Although largely forgotten today, the campaign was important in many ways. It saw the first air attack launched from a ship, the first night-time air raid, and the use of tactics which anticipated those used later in the War. The Japanese siege methods, a repeat of those used at Port Arthur during the Russo-Japan War (1904-05), were much admired by the British. 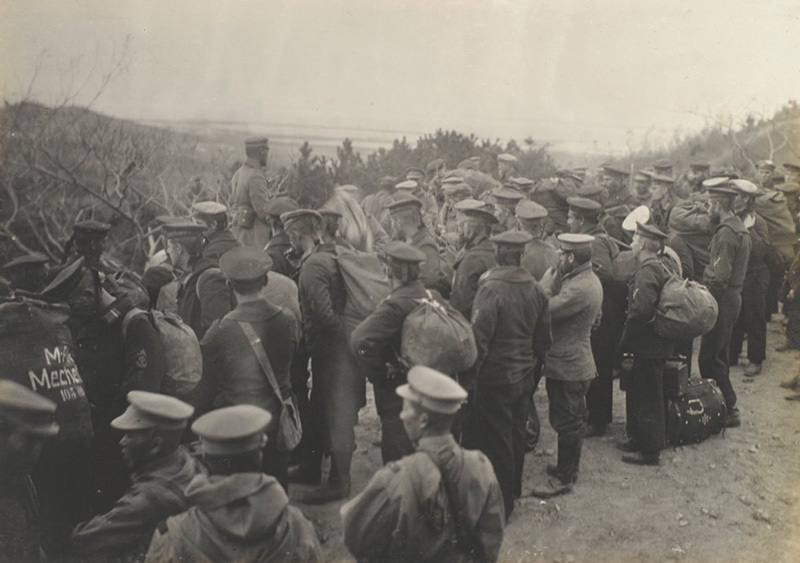 The Japanese commander, General Kamio Mitsuomi, had undertaken night raids and avoided the costly frontal attacks of the type seen in the early battles on the Western Front. 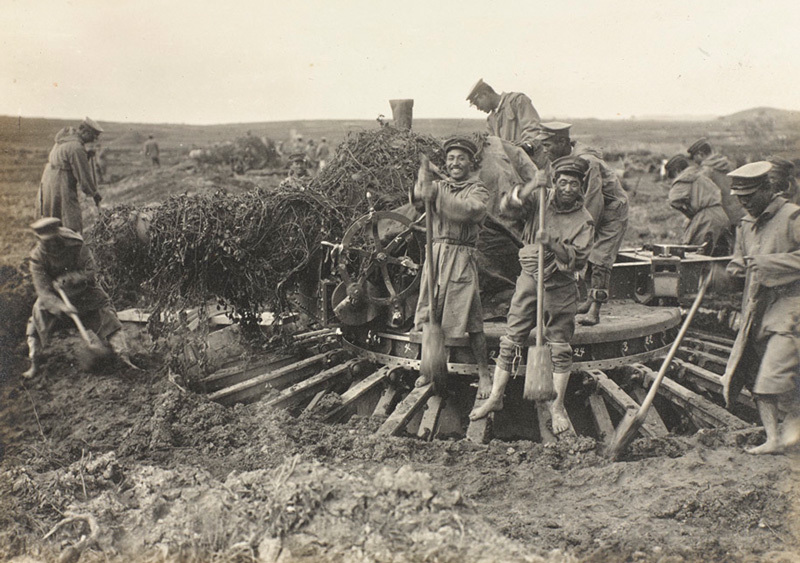 Rather than waste men, he used his heavy howitzers to soften up the enemy while gradually advancing his trenches. Nathaniel Walter Barnardiston (1858-1919) was born at The Ryes in Little Henny, Essex in 1858. He was the son of Colonel Nathaniel Barnardiston and his wife Lady Florence Barnardiston (née Legge). He had three brothers and five sisters. After a private education and attendance at Merton College, Oxford, he joined the 77th (East Middlesex) Regiment of Foot (The Duke of Cambridge’s Own) in 1878, serving as adjutant of the 2nd Battalion between 1882 and 1886. He was made captain in 1885 and three years later graduated from the Staff College. Barnardiston served as aide de camp to the governor of Bermuda between 1889 and 1892 and, on returning home, married Sarah Hall. Their daughter Joan was born five years later. Promoted to major, he then served as Deputy Assistant Adjutant General of the Eastern District (1894-97) before joining the Intelligence Division at the War Office (1898-1901); here he wrote guidebooks on both the Belgian and French armies. This posting was interrupted by active service with 2nd Battalion The Duke of Cambridge’s Own (Middlesex Regiment) during the Boer War (1899-1902). He then served as military attache to Brussels, The Hague and the Scandinavian Courts (1902-06), being promoted to lieutenant-colonel in 1904. Barnardiston was Assistant Commandant at the Royal Military College, Sandhurst from 1906 until 1910. Promoted to colonel, he then became Assistant Director of Military Training. He was made a major-general in 1914. Following his exploits in China, Barnardiston later commanded the 39th Division during 1915-16, before being made Chief of the British Military Mission to Portugal (1916-19). Major-General Barnardiston died on 18 August 1919 at Felixstowe Cottage Hospital. He was buried at St Mary’s church in Great Henny, Essex.